There is a certain irony of me writing an article about watering plants after Madison, WI (where I live) recently received record amounts of rainfall and, as I write this article, is experiencing flooding in many areas of the city. However, as September arrives, the psychology of many gardeners seems to be that as we enter the fall, plants really don’t need a lot of water. Nothing could be farther from the truth. 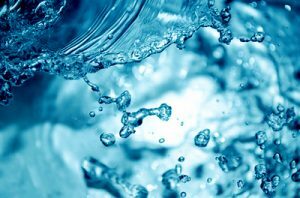 Fall is a critical period for watering, particularly for evergreens, which require sufficient internally stored water to make it through harsh winter conditions without dehydrating and suffering from winter burn. Established trees, shrubs and herbaceous ornamentals (i.e., plants that have been in the ground three years or more) typically require roughly one inch of inch per week. 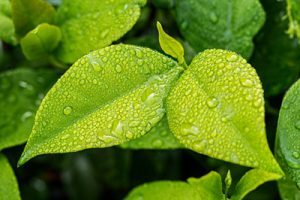 New transplants (i.e., plants that have been in the ground less than three years) require slightly more water (on the order of one and a half to two inches per week). 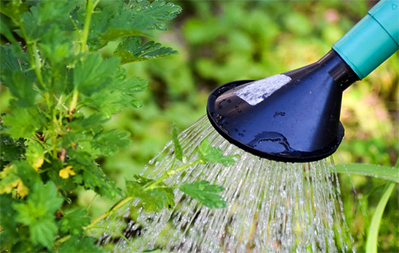 If Mother Nature does not cooperate with natural rain, then gardeners should apply supplemental water with a soaker or drip hose in as much of the root zone of plants as possible. Often, gardeners have limited ability to water this large of an area (note that the roots of a tree can extend on the order of three to five times the height of the tree from the trunk). In such situations, I recommend concentrating watering at the drip lines of trees and shrubs (i.e., the edges of where branches extend). Deciduous trees and shrubs (i.e., those that drop their leaves or needles) should be watered up until they begin to turn their normal fall color. Evergreens, on the other hand, should be watered up until the ground freezes or there is a significant snowfall. To get a rough estimate of how much water is being applied, sink empty tuna cans in the soil so the lips of the cans are level with the soil surface. Place a section of hose over the can and see how much water collects. When there is an inch of water in the can, then roughly one inch of water has been applied in that area. Also consider mulching properly to help keep plants properly hydrated. Turf is a great competitor with other plants for water, so I typically recommend removing turf from around other plants (particularly trees and shrubs) out to at least their drip lines. 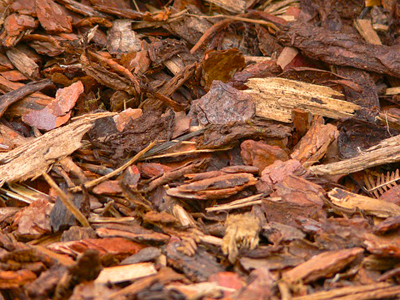 These areas should be mulched with a high quality mulch (my favorites are shredded oak bark mulch and red cedar mulch). I typically recommend roughly one to two inches of mulch on a heavier, clay soils and a bit more (say, roughly three inches) on a lighter, sandy soil. With proper watering and mulch, you can help maximize the likelihood that your plants will survive harsh winter conditions and come through healthy, happy and ready to vigorously grow the following growing season. As always, if you have questions about this topic or about plant diseases and their management in general, feel free to contact me at (608) 262-2863 or pddc@wisc.edu. P.S. : I can’t use the reference “Neverwhere” in the title of my article without plugging the book from which this word originates. “Neverwhere” is one of my favorite fantasy books, penned by the amazing Neil Gaiman. Check it out! This site works best when viewed in Chrome or Firefox. You may have problems if you try to view the site in Internet Explorer or Edge. April: To Prune, or Not to Prune, That is the Question. December: Ho! Ho! Ho! A Plant Health Horror for the Holidays! Is My Ash Tree Worth Treating for Emerald Ash Borer?